← The ‘wordle’ below describes what interests and keep me occupied! Ash Wednesday, Feb. 22, 2012. 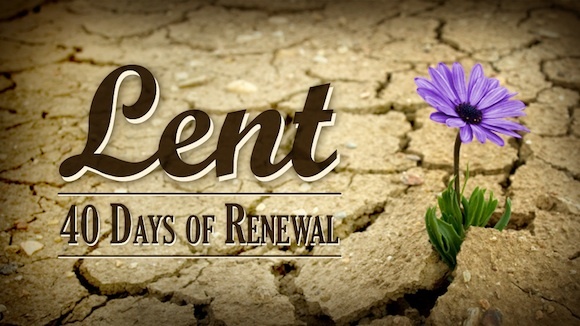 The church has historically set aside the Lenten season for a time of soul-searching and repentance. It is a season for reflection and taking stock of lives. It’s a preparatory time for the celebration of Easter, when the faithful rededicated themselves and when converts were instructed in the faith and prepared for baptism. By observing the forty days of Lent, believers try to follow Jesus’ withdrawal into the wilderness to spend time in solitude with fasting for forty days (Read: Matthew 4:1-11; Mark 1:12-13; Luke 4:1-13). Thus, Lent helps us take Jesus’ life and death more seriously, and celebrate his resurrection more fully. Let us resolve, therefore, that with the help of the Holy Spirit we will set aside some time in our clogged schedules to read the Scriptures, meditate on it, and pray. Spending time in the Word of God is significant for Lent because you will notice in the passages above that in every instance of temptation Jesus fought back Satan by saying: “It is written!” As we journey together with Jesus during this solemn season, let us begin by asking ourselves a few questions today, such as: When I wake up on Resurrection Sunday morning, April 8, 2012, how will I be different? Is there sin in my life that gets in the way of loving God with my whole heart? What am I going to do about that sin in the next forty days? Is there anyone in my life from whom I need to ask forgiveness or pursue reconciliation? What are some things in my life that I can give up for Lent that will help me draw near to God? How does giving it up draw me closer to God and prepare me for Easter? May God be with you in your forty days spiritual journey! Amen. This entry was tagged Ash Wednesday, devotional, Lent, Reflection. Bookmark the permalink. Thanks for the marvelous posting! I really enjoyed reading it, you’re a great author.I will always bookmark your blog and may come back later in life. I want to encourage you to continue your great posts, have a nice weekend!